Who said Valentine’s has to be about red and pink and fruity treats? Valentine’s should be rich and deep, smooth and silky, bold and full of sin. I believe that a decadent chocolate cake also cries out LOVE! Your significant other will think that you slaved for hours making this wonderfully rich and moist chocolate cake. However, if you make it home from work at 5 and pop this into the oven while eating dinner, you’ll have the best chocolate cake for dessert! I found this recipe and knew I had to make it. Grease a bundt pan, then dust with cake mix powder. Beat all ingredients together for 4 minutes. Pour into bunt pan and bake for 45 minutes. 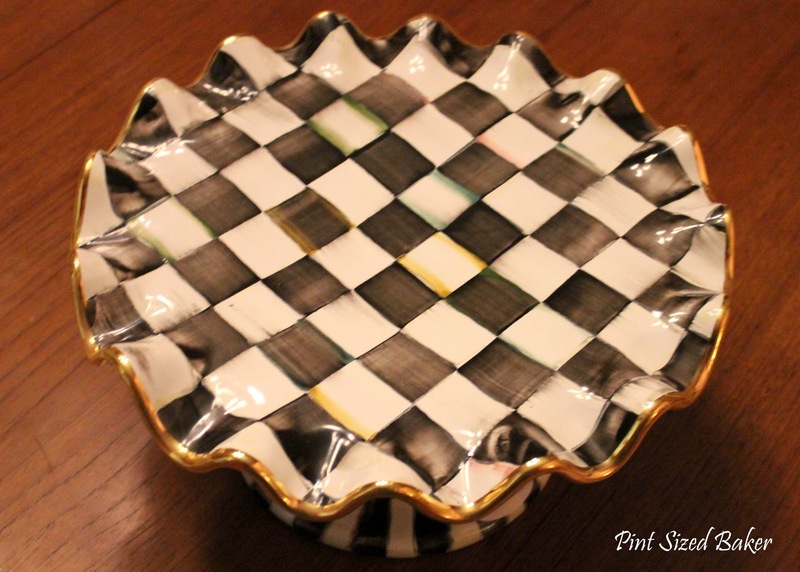 Let me introduce you to my NEW MacKenzie-Childs Cake Platter! LOVE, LOVE, LOVE it!! Oh well! It’s too beautiful NOT to use it! I am a HUGE fan of frosting on my cakes, however, this one just does not need it! 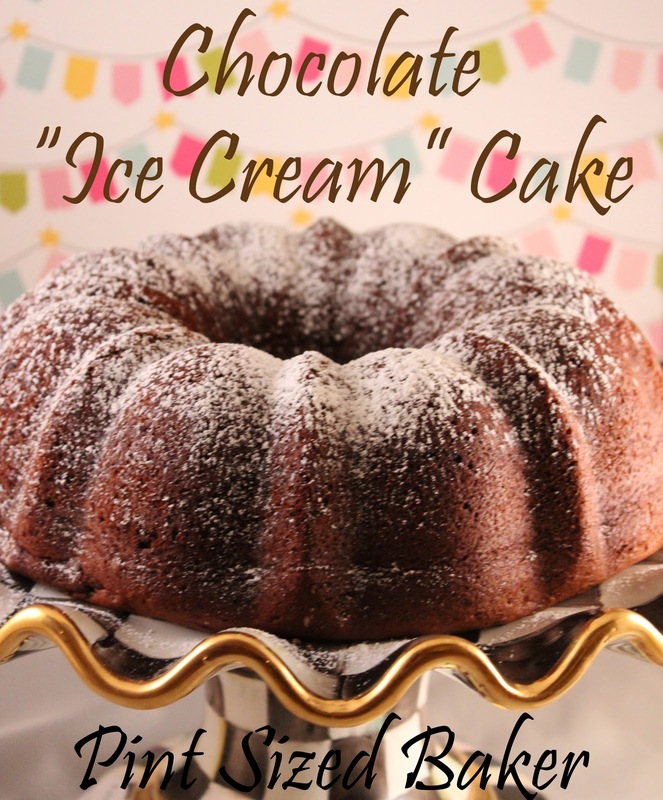 I did make this cake with Coffee Ice Cream. I was hoping that it would give it some Mocha Coffee type flavor, but it was not there. Next time, I plan on adding a cup of cold coffee in place of the water. 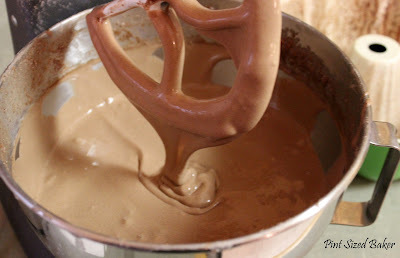 I also want to try Chocolate Peanut Butter Ice Cream! Can you see just how moist and rich this cake is? Can ya? You don’t know what you are missin’! Kristen has 11 great bloggers ready and waiting to share something new every day! 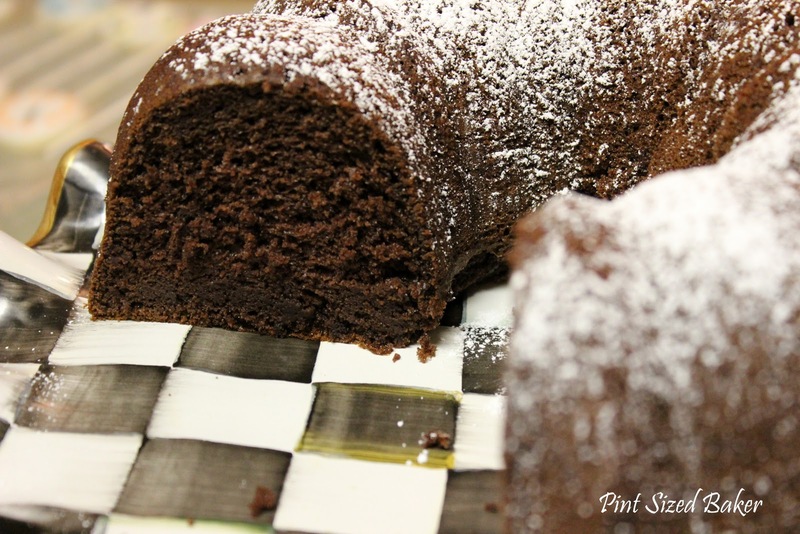 Feb. 8 – Pint-Sized Baker – Hey, that’s ME!! I think I'll be dreaming about this cake! It looks amazing! I look forward to it! I've seen all the fun things that you share at the parties and I can't wait party with you! 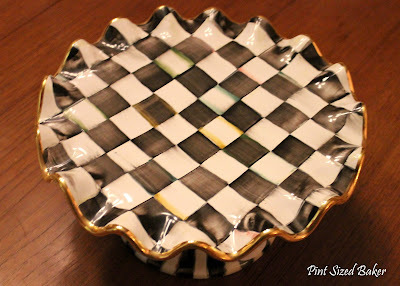 Firstly, I want that cake plate!!! Secondly, ice cream in cake batter sounds yummy! I could NOT believe it when I got it for Christmas! 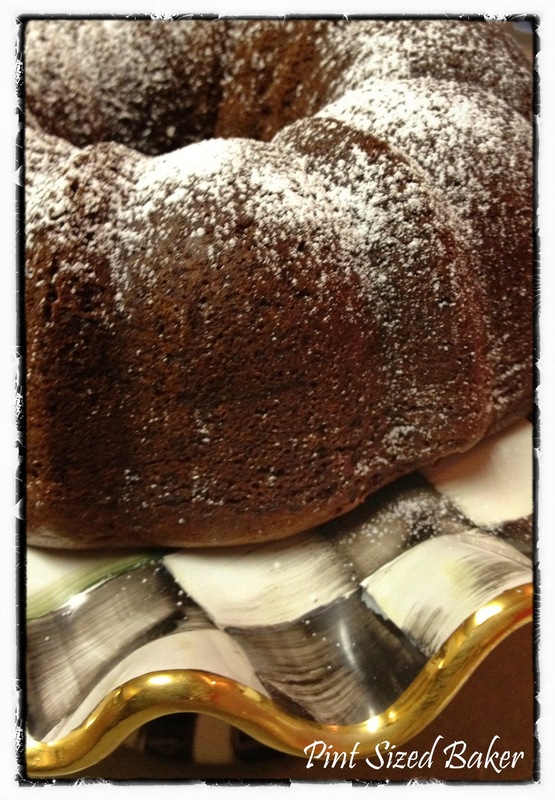 Thanks Kristi – I liked up the bundt and the lollipops! Thanks for the invite! Looks amazing as all of your desserts do. I've got to try this! 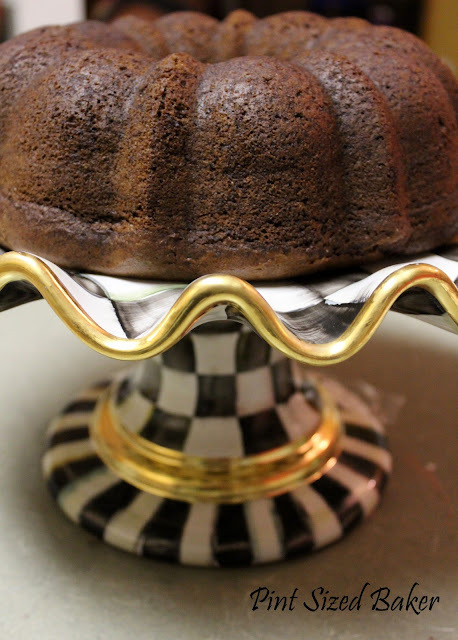 Maybe I'll use my mini bundt pans and put a scoop of the ice cream in the middle. 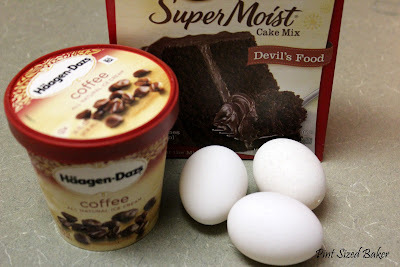 I have never thought to use ice cream in a cake mix, that sounds really good. 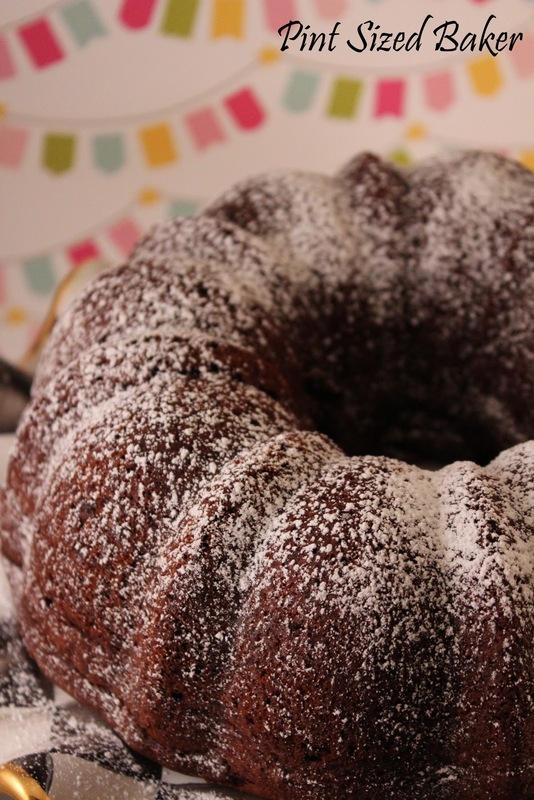 I hear that a lot of times when you use coffee in a chocolate cake you don't actually taste the coffee, it just brings out the chocolate flavor more. Hopefully you'll get more of the mocha flavor you are looking for with the coffee instead of water. I found you via the Gingersnap Crafts Link Party. What a fabulous idea! I'm sure it must taste amazing. Thanks for sharing this! Thanks for the invite! I just linked up the cake and my Palmier Cookies!